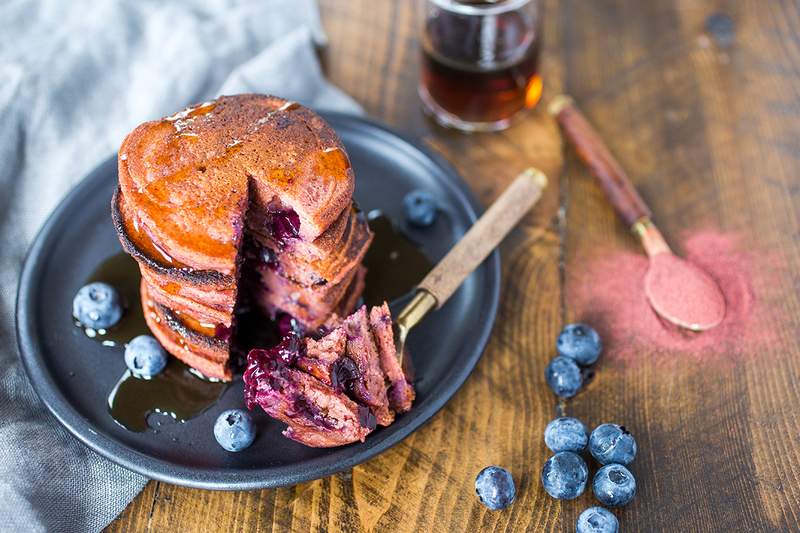 If there is anything better than my Fluffy Almond and Cassava Flour Pancakes, it’s these Paleo Blueberry Pancakes with Beet Powder. Why? Well, for starters, they’re pink. One of my favorite companies, Love Beets, just released one of of the coolest products I’ve seen in a while – Beet Powder. Just one tablespoon equals 3 whole beets and you can add it to virtually anything – baked goods, smoothies, soups and of course, pancakes! Not only does it provide you with all the nutrition you’d get from beets, but it also serves the purpose of an all-natural food dye. 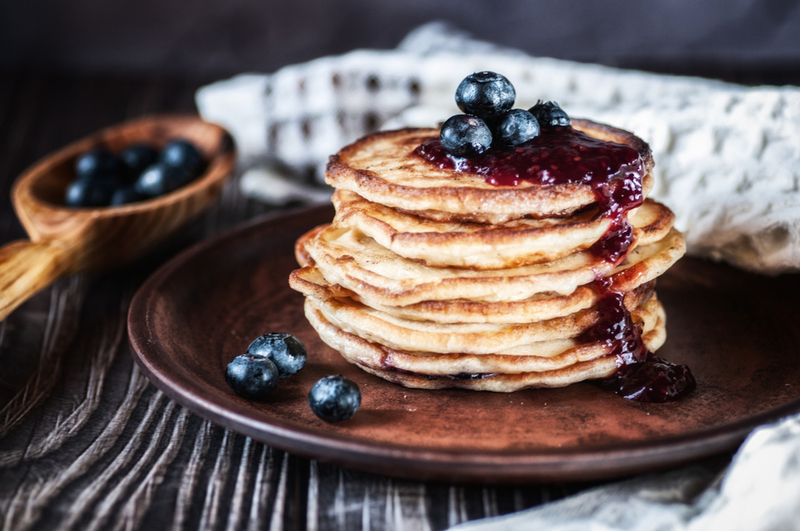 Without further ado, here is the extremely simple recipe for these deliciously pink pancakes, which by the way, would be perfect for Valentines Day! Combine almond flour, cassava flour, baking powder, salt and beet powder in a medium sized mixing bowl and whisk until fully combined. Add about 4-5 blueberries on top of each pancake, before you flip them. You could try although cassava is pretty unique. Honestly the most similar thing would be a generic gluten free flour that subs 1:1 for regular flour as cassava does the same. Any nut flours might make them too heavy and certainly not as fluffy.